Whether you work in a small office complex or your business is located on a large property, at Blooms Landcare we believe that one of the best ways to attract new clients is to start with a little curb appeal. 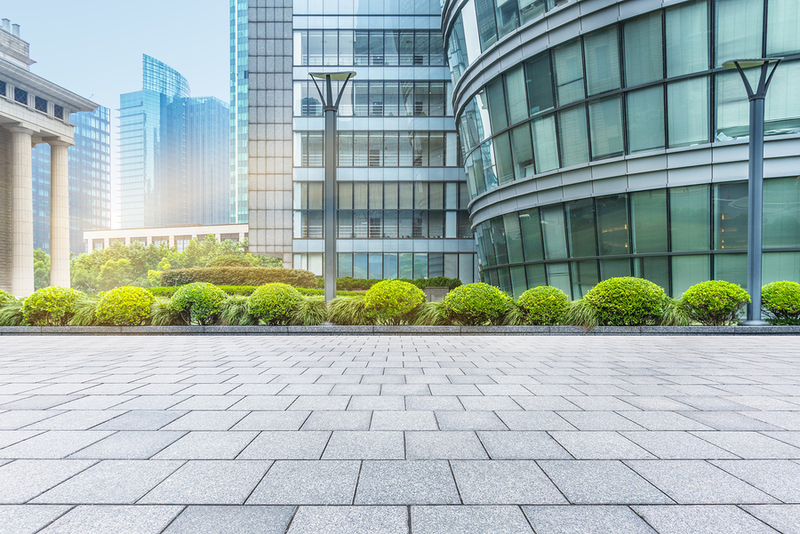 Our commercial landscape design team offers a range of beneficial services to keep your landscape looking lush, green and appealing to your clients. The following benefits to commercial landscaping may show you just how useful our Fort Worth landscapers can be to your commercial landscape. One of the many reasons to choose our landscape design services over others in the area is our team of certified arborists. These tree specialists can help you create inviting scenery of trees from the early stages of planting to the times of caring for old very large tree. Ask our knowledgeable staff about the best places and types of trees to plant for your particular landscape. Along with expert plant advice, our team is also well-trained in irrigation management. Keeping all sprinklers, pipes, and water sources under control can save you a lot of money. Prevent water damage to your property and keep your landscape properly watered using our irrigation management services. Finally, our landscape design team is always here to help you with any of your landscaping questions or concerns. We will always be here when you need us. For advice about extended care of your landscape, or to start regular landscaping maintenance at your commercial location with Blooms Landcare, feel free to call us at (817) 688-5352.